Compulsive lying disorder is not actually a documented psychiatric disorder. Instead, it's a term used to describe what may be a symptom of another psychiatric disorder such as borderline personality disorder, narcissism or bipolar disorder. Not all people who are compulsive liars suffer from a psychiatric illness, but there is usually an underlying reason for the behavior. According to Psychology Today, people with psychiatric disorders lie for a variety of reasons. The person wants reward or acclaim for something he or she did not do. He or she craves attention and esteem from others to combat feelings of inadequacy. They may also seek attention by pretending to be victims of crimes or creating other dramatic situations that didn't really happen. People will sometimes lie because they want something they wouldn't be able to get otherwise. The lying continues because the person craves the attention and thrill of getting away with it or in an attempt to manipulate the victim of the lies even further. Sometimes, they use "gas lighting," a technique where they convince others that their realities are incorrect and only the liar knows what "really happened." People who feel down on themselves and want to look better in the eyes of the people around them will often make up stories about themselves. The goal here is to gain sympathy or empathy. Perhaps they fear people will reject them if they think they have any bad qualities, so they exaggerate good ones. The person wants to avoid getting in trouble or make other people feel responsible for something he or she has done. This can be a severe problem in the workplace. Many people get these two confused because they are similar. A pathological liar, also known as a sociopath, is quite different from a compulsive liar. The pathological liar will lie for absolutely no reason, and do so very convincingly. As clinical psychologist Martha Stout told Interview Magazine, they often lie just to see if they can trick people. These people are great at lying in all circumstances because they completely lack empathy for others. Because compulsive liars usually have an underlying psychiatric disorder or addiction, treatment starts with the disorder or addiction in hopes that with stabilization, the lying will decrease or stop altogether. You can find typical treatments for the underlying disorders through the National Institute of Mental Health. Any medication prescribed depends on the disorder, but usually includes antidepressants or antipsychotics. Cognitive behavioral therapy (the process of changing your thoughts to change your behavior) is one of the most effective forms of therapy for many psychiatric disorders, addictions and their symptoms, including compulsive lying. Treatment success depends on how willing the sufferer is to seek help. Taking medication can be easy, but psychotherapy takes work. The person must be an active participant and follow through with the entire treatment plan. The problem with compulsive liars is that they have a difficult time telling the truth in therapy, and this can be detrimental to reaching treatment plan goals. 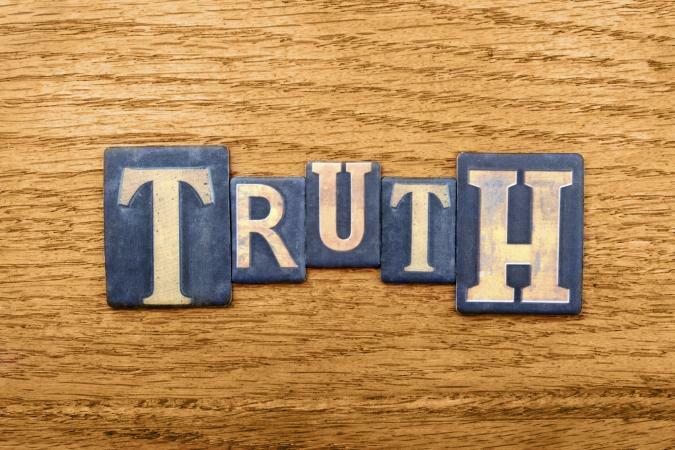 Experienced therapists are able to tell when people are not telling the truth, and they are able to help them realize what they have been doing and how it has affected their life. If you find yourself lying more often than not, or feel unable to stop lying, seek out professional help. Contact your physician who will most likely give you a referral for a psychiatric evaluation by a psychiatrist or psychologist. You can also contact your local mental health center for information on resources in your area including counselors and support groups. Confronting someone about a lying problem is challenging. The person will most likely become defensive and resist treatment. The more you push the issue, the more the person may resist. The only thing you can do is voice your concern and offer help. Spending time with a liar can be frustrating and exhausting, so if the person does not want to seek help, you will need to decide if it's worth your energy to remain supportive.